Kangoo shoes, also known as Jumping Shoes or jump boots, are shoes with springs for jumping, or rebound shoes, that take the title of the world’s lowest impact shoes. They are especially beneficial when it comes to providing an effective, safe muscular development workout as well as being used for cross-training. You can also read about the Best Adult Pogo Sticks here! 2 What are Jump Boots and Jump Shoes? 3 Is It Truly a Trampoline Jumping Experience? With the rising popularity of Kangoo Boots, it can be difficult to choose one particular pair. With this in mind, here are the best 7 Kangoo Boots! The stylish XR3 Special Edition Kangoo Jumps are priced at around $250. They’re appropriate for all ages and various types of workouts, and have a weight limit of just under 200 pounds. You can opt for sizes from X-Small all the way to Large for this particular pair. These XR3 Kangoo Jumps differ from the Special Edition model by price, which are around $230, making it a budget buy if you still want something from this model range at a reduced price. This pair boasts a patented Impact Protection System, or IPS, that comes with a full body workout and a maximum weight limit of just under 200 pounds. You can get a pair of these in sizes ranging from X-Small to X-Large. 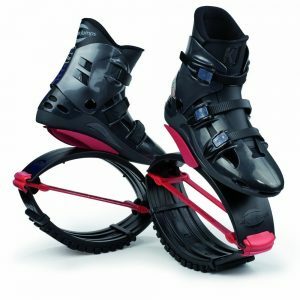 The 99 Strength Plyometric Training Shoes by Jump start at $125 and are a versatile option for Jumping Shoes if you want to learn how to use them before moving on to brand Kangoo Shoes. They range in size starting from shoe size 5 all the way to 13, making them a unique, varied option for someone who wants a regular shoe that acts and feels like a Jumping Shoe. 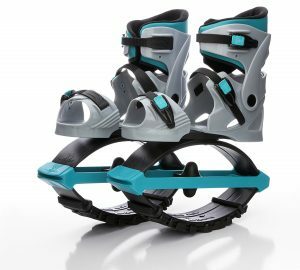 The Pro-7 Model of Kangoo Jumps comes in 3 different color variations and has a price tag of approximately $300. It differs from the others by a 200-pound plus weight limit and being a model for all shapes and sizes of feet. It comes with the patented Impact Protection System, as well as a patented support place for the best foot positioning possible. The Pro Shells and Pro-7 Tension Springs make this model a serious athlete’s best friend. They range in size from Small to X-Large. The Air Kicks by Geospace will cost you anywhere between $130 to $436 depending on the size you choose, which range from small to large. Small has a limit of 100 pounds, Medium 176 pounds, and Large up to 200 pounds. This pair is powered by patented JUMPING JAX T-Spring technology that uses rubber T-Springs of heavy-duty durability for longer, low-impact jumps and strides. They are also able to fit over practically any size of shoe, which include 2 to 7 for kids, 3 to 15.5 for women, and 6 to 14 for men. 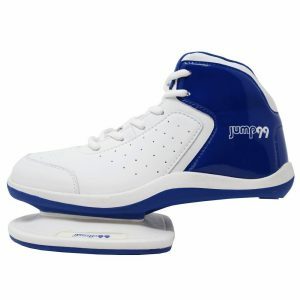 The Unisex Fitness Jumping Bounce Shoes by Joyfay cost around $100 and come in Large US 5 women and 3 to 4 for youth, as well as Medium 2.5 to 12.5 for a child. They are a great budget option for someone who are within these size requirements. The Boosters by Madd Gear are the ultimate budget Kangoo Shoes, which you can get for only $50 for kids. 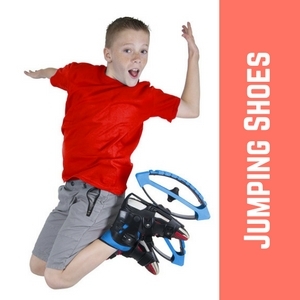 They have a maximum weight limit of up to 88 pounds, making them an awesome budget buy for kids who want to learn how to use Jumping Shoes. What are Jump Boots and Jump Shoes? Even though moon bounce boots were first invented to be a way for kids to jump and have fun, they have come a long way. Their design is a little easier to handle for most. They are fun for both adults and children. However, this is not the only reason people are enjoying them. The new purpose came about when Joe Ruhl, the president and co-owner of Excel Physical Therapy and Fitness in England gave them a try. He wanted to provide a recreation device for athletes who were recovering from certain leg injuries. He determined that they were easy on joints and that by using them a person could get toned muscles and burn more calories. It worked and in the 1990s, jump boots were redesigned by a Swiss entrepreneur named Denis Naville. He wanted to improve their comfort, performance, and design. The jump boots you find today are a result of these improvements. They are more comfortable and easier to wear than ever before. Is It Truly a Trampoline Jumping Experience? The reason people should buy moon shoes is because they can help anyone who have leg and back issues. They work by relieving pressure on joints so you feel less pain. They provide a natural rebound effect that makes exercising more comfortable and you will see results faster than normal running or walking. The hard part is getting used to them. 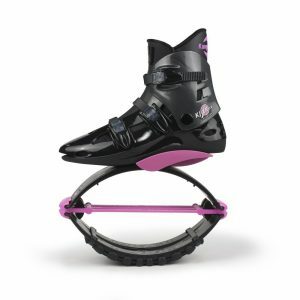 On the Kangoo jump boots you will see a single spring on the bottom. This is what will collapse and expand to give you a bounce. Kids and adults can bounce along while wearing them and most do say that it is a lot like running on a trampoline, with no impact at all. Many people do agree that when you first use moon shoes, you should cautiously move around a little to figure out how they will feel. After bouncing, try walking and you will notice that there is no shock to your feet, legs, and joints. From there, jogging on concrete or asphalt will also be easier on you. A concern that most people have at first is whether they are safe or not. The bounce that moon shoes provide is safe for most, regardless of age, but it is recommended that if you have balance issues, serious medical conditions, or if you are pregnant, you may want to avoid wearing them or ask your doctor if it may be a safe option for you. To help you decide whether these shoes may be good for you, here are a few reviews for you to consider. This will allow you to weigh the benefits and see what is available. There are a lot of benefits to using jump shoes for both adults and kids. For one, adults often use Kangoo Jumping Shoes for athletic training and even medical reasons. Adults with chronic pain, especially in the legs, find that using them helps to relieve certain amounts of tension in the knees, ankles, and feet. They also workout core areas that need more strength to them, and are beneficial in sports training, such as basketball, for example. They provide a slight boost that any athlete can take advantage of, but are also a lot of fun. Kids can share in the benefits, as well. It gives them an afternoon of entertainment that is much like jumping on a trampoline. What kid wouldn’t want anti-gravity running boots? They are the best way to get your kid interested in athletic physical activity that doesn’t even seem like exercise at all. They offer stimulation that helps improve their balance and gives them a cardio workout without them even realizing. Jumping Shoes are all about balancing yourself while finding your center of gravity. You’ll notice right away that they are not like regular shoes, so in order to use them properly, you must be careful when you first start out with them. Before you even think about running or jumping in them, try walking around in them for a decent amount of time first. You can’t gain the health benefits from them if you’re losing your balance or not using them properly. Start by taking it slow, walking as you normally would, and them jump around once you feel you’re comfortable enough with how they feel and work. 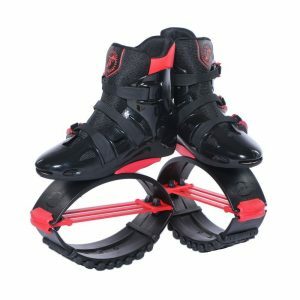 Kangoo Jumping Shoes are a ton of fun, a great way to workout, and act much like a trampoline, yet better. Always remember to use them properly and you’ll reap all the health benefits that come with them. 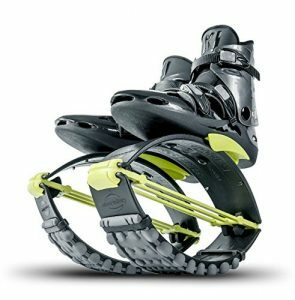 Kangoo Shoes are anti-gravity running boots that are also shoes with springs for jumping. Think of a trampoline mixed with a pair of shoes. What are Kangoo jumps weight limit? The weight limit will depend on which pair you choose, and is something you should always look for before you make your purchase. It’s important to know before you buy. 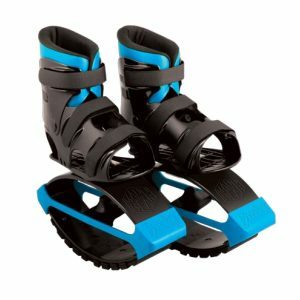 Can kids use Kangoo Jumping Shoes? Of course! Kangoo Jumping Shoes are a type of jump boots that is beneficial and fun for all ages, not just for adults and athletes.